Scooby Doo loves eating as much as his owner Shaggy does. He is also given human like characteristics such as talking, standing up and empathizing with the other members of the mystery gang. Hop on the Mystery Van! Scooby Doo is undoubtedly one of the most popular mystery themed cartoons on television. The five member gang never fails to give everyone spooks with loads of laughter. Each crime solving episode simply gives entertainment to not only kids but each of the family members as well. You may have watched the series s a kid, or are watching the newer versions of the show at present; however there is more to this cartoon than what meets the eye. Just how much do you know about Scooby Doo? If you are a super fan, chances are, you may already know a lot of trivia about the show. If you loved the show as a kid there may be more that you can learn from the trivia below. What makes this show endearing to everyone is the nostalgia it gives to older viewers and the taste of 70’s inspired mystery for younger viewers. Scooby Doo is what you can say as a great representation of horror comedy back in the days. The cast itself is unique comprising of Fred Jones, the leader of the gang, Daphne Blake, the fashionable member who has a knack of getting into danger, Velma Dinkley, the bespectacled brains of the gang, Shaggy Rogers the goofy and coward owner of Scooby Doo and the unforgettable Great Dane himself; Scooby Doo with human characteristics and also share a load of personality traits with his owner. Upon broadcast of Scooby Doo by CBS; What A Night For A Knight, the debut episode for the series Scooby Doo! Where Are You? It made sure to let its fans know they were in for crazy ride. The first episode of the series was aired in September 13, 1969. Despite the timeline, the Mystery incorporated gang seemed to have come from a different era considering their characteristics, outfits and overall charisma. The series has garnered 2 huge films, 12 different series, spin-offs, spoofs and even straight to DVD collections, the entire show hasn’t deviated from their original format. From the characters trademark looks to the mystery machine and even the original blend of the show hasn’t been changed. Just proves that some things just never get old. Before being called Scooby Doo, the show was originally titled Mysteries Five. The protagonist names were supposed to be Geoff, Kelly, Linda and WW that went around the country accompanied by their sheepdog called Too Much. However this was changed by CBS demanding a more interesting lineup considering the competition at that time and of fear that the show could give off vibes of violence. Scooby Doo was then renamed to Who’s S-S-Scared, but was still shot down because of being too scary for the audience. The material of the show was then toned down and the name was changed in order for the show to pull through. In the end Scooby Doo was able to make it in the air since it played on safe grounds, not too violent and not too scary. This meant that it was just right for any kid who happens to watch it. It’s also interesting to know that Joseph Barbera’s son had written a slasher flick while working on Scooby’s All-Star Laff-A-Lympics, The 13 Ghosts of Scooby Doo and the New Scooby Doo Mysteries. One of the most common legends in the Scooby Doo world is the 5 College Theory. What is this and what does this have to do with the mysteries in the show? It is believed that the members of the Mystery Incorporated gang represent the 5 colleges of Boston. One of which is the Girls-only Smith’s College that gives huge emphasis on SAT scoring which is said to be represented by Velma who is the bookworm of the group and knows the facts right out of her head. Daphne’s college is speculated to be the Mt Holyoke College which puts its focus on the extracurricular activities and personality development of its students. Amherst College falls to Fred since the school focuses on developing the leadership qualities of its students. Fred is said to represent as the leader of the gang and this is where the conclusion is drawn from. On the other hand, Shaggy is said to be the embodiment of the Hampshire College which is more laid back than the rest of the gang. Scooby Doo is connected to Umass Amherst wherein more playful types of students reside. Then again none of the creators confirmed this was true and it is merely a fun speculation by fans. If you haven’t noticed the latest Scooby Doo movie casted its actors having a common ground: acting in horror films. The Warner bros adaptation of Scooby Doo in 2002 wanted to show the audience about the thin line connecting the show and horror movies. Fred is played by Freddie Prinze Jr. who was also in Know What You Did Last Summer. Daphne is played by Sarah Michelle Gellar who is Freddie’s wife and played as Buffy in the popular show Buffy the Vampire Slayer. Linda Cardellini plays Velma who was also in Strangeland. Shaggy is played by Matthew Lillard who is the masked villain in Scream wherein Sarah Michelle Gellar also played a role in. You can at least one actor from each of the Scream films out there who may have appeared in the live action movies or even voiced for a character in the show. They are literally all over the place. Frank Sinatra was also allegedly the inspiration for Scooby Doo. In the roster of shows at that time, having catchy songs each episode was a must for more views. CBS executive Fred Silverman explains that he was travelling to a meeting when he heard Frank Sinatra’s Strangers in the Night. An improvisation of the singer on the songs would be the “doo-be-doo-be-doo” part which then kept replying in Silverman’s head; which in turn created the phenomenon that is Scooby Doo. Creating the characters wasn’t done in a blink of an eye; the creators also had to look for inspiration. This came in the form of the sitcom The Many Loves of Dobie Gillis which was a black and white sitcom where Dwayne Hickman plays as a man who can’t find the right woman. He became the inspiration from Fred. Beatnik was the inspiration for Shaggy; Daphne was based from Thalia Menninger and Velma from Zelda Gilroy whose character loved sweaters. In 2013 there were plans of creating another Scooby Doo movie however it was dropped for the idea of creating a full length animated feature instead. A movie is set to be in the works around September 2018. Shaggy’s trademark bologna and pizza is vegetarian in respect to Casey Kassem’s wish of his character following his footsteps. This was done on the production of the show’s second season as well as in what’s New, Scooby-Doo? in 2002. In the live action of Scooby Doo, Shaggy is also made to be a vegetarian. The real name of Shaggy is Norville. Velma’s famous line “My glasses; I can’t see without them!” was actually coined from her voice actress Nicole Jaffe when she lost her glasses and uttered the then to be famous catch phrase of the bespectacled character. The writers of the show grew to like it so much that they decided to put the iconic scenes of Velma losing her glasses on the show. 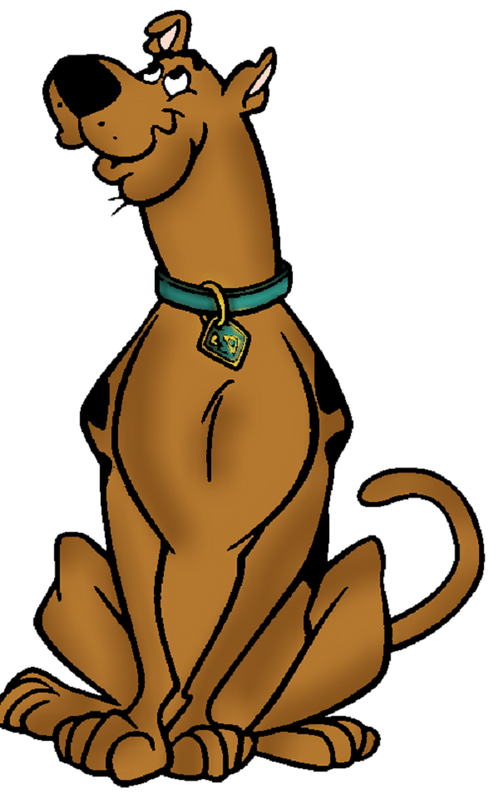 Scooby Doo was created by the character designer to be the complete opposite of what a Great Dane should be. This also included the spots on his back since you don’t see spots on Great Danes most of the time. The creator figured it would be comical to create a character that behaved the opposite that it was perceived to be. The gang always splits in group of twos or threes in every mystery for a particular reason. The writers found it a bit boring to write stories about Fred and Daphne which is why they would split the gang to give more screen time for the remaining comedic characters. Later on Velma joined Fred and Daphne in the split so that writers can give more of the screen time to Shaggy and Scooby Doo. Writers subtly imply that Velma and Shaggy are going out together by pairing them up in dances and the likes. This is in contrast to other rumors that Velma does not have a boyfriend or may have a liking for Daphne. Another popular rumor to circulate is that Shaggy is a pothead. The munchies are seen as drugs and the ghosts he sees are his hallucinations. A lot of people dismiss this as a rumor but some see some truth to it since Shaggy has a beatnik or hippie character to him. However this was not true along with the rumor that Scooby snacks were more than doggie treats. The voice actors of Fred and Shaggy auditioned for each other’s roles. 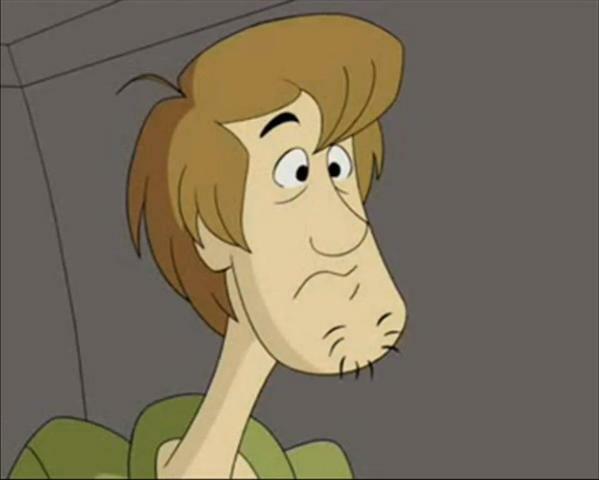 Frank Welker auditioned for Shaggy in hopes of playing a comedic character while Casey Kasem claimed he was not a comedic actor and went for Fred’s audition. That thunder sound that you hear at the start of the show is actually a tape echo that repeats itself. You can even hear the booming sound repeating if you listen carefully. Scooby Doo has a real name and that’s Scoobert. There’s a conspiracy theory that the show actually takes place after the economic depression because of the number of monsters who turn out to be professionals or respected people like celebrities, professors and even museum curators. Scooby Doo is the first Saturday airing cartoon which actually provided a laugh track. It’s safe to say that a lot of people loved Scooby Doo and the new kind of comedy horror it has introduced to us when we were kids up to the kids now. It’s one of those shows that are utterly unforgettable, dynamic and genuine. Nothing else can compare to the originality that the Scooby Doo series has always offered. It’s a family show that all ages have loved and continue to love until this generation. The show is an iconic and truly endearing series that has spanned generations and continues to amuse kids and adults alike. When you haven’t experienced the Scooby Doo childhood, you are missing a lot. This is why the show is making its way into the hearts of the younger generation in order to spread the same wonderful childhood memories as we all did in the past. From left to right: Velma, Shaggy, Scooby Doo, Fred and Daphney. The mystery gang in action as they set out to investigate yet another thrilling mystery around the corner. The star of the show Scooby Doo. Characterized as a Great Dane, Scooby Doo is the complete opposite of what the breed’s characteristics should be. His favorite snack is the Scooby sack. Shaggy Rogers, the cowardly beatnik owner of Scooby Doo. He loves eating, although he is vegetarian his favorite food are bologna and pizza. He’s what you can call a hippie. Shaggy is always seen as a scaredy-cat and oftentimes jumps into Scooby Doo’s arms when surprised. Even then, he is an indispensable member of the gang as he provides comic relief and also solves the mysteries in the nick of time. Velma Dinkley, bookworm and nearsighted member of the gang. She is coned to be the smartest and can lecture you for hours when it comes to paleontology, Viking history, and runic symbols and so on. She is Daphne’s classmate. Fred Jones, the self proclaimed leader of the gang. Tall, blonde and is your typical hero of the day. Fred keeps the gang on their toes and watches out for them during mystery hunts. Fred is also the one who usually protects the gang when confronted by the monsters. Daphne Blake, the damsel in distress. Although in other words she is said to be the one who attracts danger. Pretty, fashionable and has a crack for reporting events, Daphne gravitates to where it’s dangerous and she usually takes the gang along with her misadventures. The mystery gang in the iconic purple mystery van. The vehicle has gone through as many adventures as the gang as it endured car chases as well as damage from the enemies but still manages to survive. In the front part of the van is where Fred, Daphne and Velma normally sit, while in the back, Shaggy and Scooby Doo coop up doing ridiculous things such as eating and even cooking sometimes.